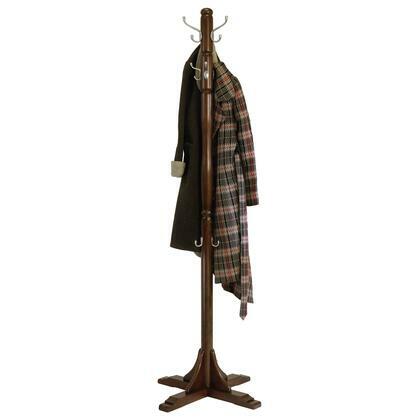 The Jera Coat Tree is attractive, elegant, and functional with 3 large double hooks for long coats and 3 small double hooks near the top for more coats or hats. An additional 3 single hooks sits halfway down for you to hang and umbrella and is also the perfect height for kids coats. 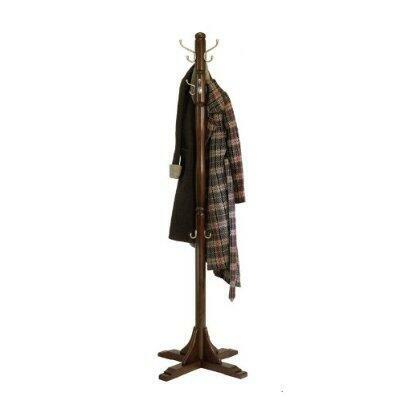 The overall size of the coat rack is 24"W x 24"D x 72"H and is made of solid wood in cappuccino finish. Ready to assemble. 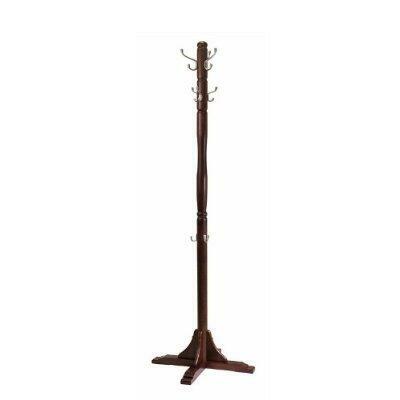 Overall Jera Coat Tree has footprint of 24"W x 24"D x 72"H.
Comes with 9 Hooks with 3 Large double hooks at top, 3 Small double hooks and 3 single hooks. Made with solid wood in cappuccino finish. Ready to assemble.